Seeking gentle breezes, the sound of waves, tranquil views or are you wanting a private boat dock? Northeast Florida is a rich paradise for water loving people to find their new home! Waterfront properties are found for sale at the ocean, river and intracoastal. If your dream house has a waterfront view, Northeast Florida has more to offer than you might think. With an abundance of communities situated along the Atlantic Ocean, the intracoastal waterway,the St. Johns River (wiki) and our many Manmade lakes; water lovers will be thrilled with all of the homes for sale that offer home owners unlimited opportunities for fun activities, such as boating and fishing. From luxury estates and a plethora of single family homes on the beach to the convenient and low-maintenance waterfront condos located along the intracoastal and the St. Johns River, there is a perfect waterfront home for every type of buyer in Northeast Florida. The region of Northeast Florida is quite large and encompasses several counties, including Clay County, Baker County, Duval County, Flagler County, Nassau County, and St. Johns County. The area's largest major cities are Jacksonville, Fernandina Beach, St. Augustine, Orange Park, and Palm Coast. The Northeast region of Florida is called "Florida's First Coast." As of 2007, the total population was 1,457,666 people residing in a total area of 3,680 square miles. 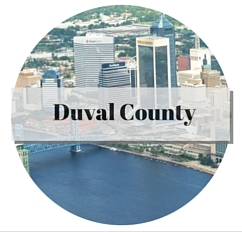 With the population growth climbing steadily year after year, the region actually includes the twelfth most populous city in the nation which is Jacksonville, Florida. As far as population demographics, the median age in Northeast Florida is 37.6 years. The median household income is $63,434.00 annually. For the best in entertainment and things to see and do, Northeast Florida is a one stop shop for just about any activity one could imagine. There are endless miles of white sandy beaches perfect for water lovers, along with more than 80 golf courses perfectly designed for even the most avid player to be challenged. With the inclusion of St. Augustine and Fernandina Beach, there are also a variety of historic attractions that are completely unique to this region. 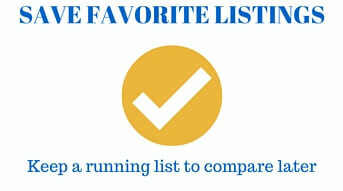 There are literally countless things to do for families and people of all ages that reside in Northeast Florida. For home buyers that want to enjoy waterfront homes for sale, a region like Northeast Florida is a definitely a great place to begin your search. 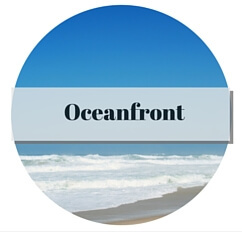 With a variety of options, there is an oceanfront, riverfront, or inland waterfront properties for every type of buyer and every type of budget. There are wonderful community features, such as great schools, countless employment opportunities, and access to several large cities for everything from travel to entertainment and more. No matter what type of waterfront property you purchase in Northeast Florida, be it a single family home, townhome, or condo, you will find what you have always wanted here. 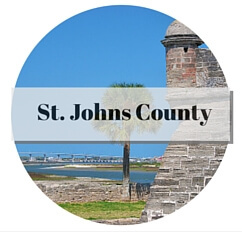 Riverfront Homes For Sale - The St. Johns River is a highly desirable and extremely sought after location to buy waterfront property in Northeast Florida. This large river connects many different parts of town and offers some of the best boating and fishing in the region. 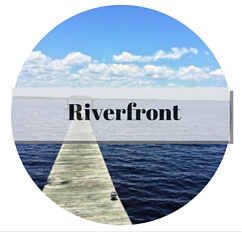 The waterfront views on the St. Johns River are available for every type of property - from high-rise condos to townhomes and single family houses, prime waterfront homes for sale are within a reasonable price range for nearly every budget. Beachfront Homes For Sale - The seaside communities in Northeast Florida with their beautiful white sand beaches are pristine and largely unspoiled in comparison to other regions of Florida. There is an eclectic mix of homes that blend in with the natural landscape, anything from beach cottages of all sizes alongside huge oceanside estates, and of course, traditional coastal homes and even some condominiums as well. 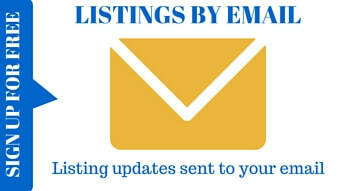 Inland Waterfront Homes For Sale - House hunters looking for waterfront property in Northeast Florida should not overlook the inland bodies of water with intracoastal waterway, creek and even marsh views that are quite beautiful and unique to the area. 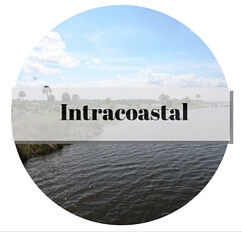 Inland waterfront homes for sale in Northeast Florida surround popular places such as Doctor's Lake and the Intracoastal Waterway. Especially with inland waterfront property in Northeast Florida, home buyers can choose a variety of historic homes, newer homes in more modern communities, and even new construction homes, townhomes, and condos. For more information, to view homes or if you have questions regarding waterfront Real Estate, contact us at (800) 999-0245 or (904) 273-0125. 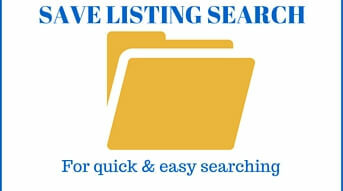 Listing information last updated on April 18th, 2019 at 4:59pm EDT.